The Internet holds endless opportunities for a person to unleash their creativity; everyone has had an amazing idea at one point in time but could not afford to make it a reality. This is where Kickstarter comes in. Kickstarter is a funding platform for creative projects that launched in April 2009 and has gained momentum through some genius ideas. Accountability is a bit of a grey area regarding Kickstarter, the funding website has very little responsibility when it comes to guaranteeing project success. The website states ‘It’s the project creator’s responsibility to complete their project… backers ultimately decide the validity and worthiness of a project by whether they decide to fund it’. 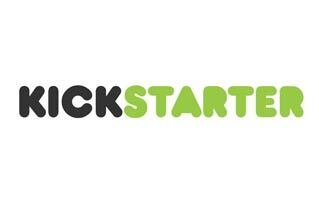 However, Kickstarter has taken precautions to try and eliminate problems for the website through its guidelines. First and foremost the website only concerns itself with products; there can be no charity-based funding projects on the website in any shape or form. There are a number of prohibited projects listed on the website including cosmetics; I would imagine this is due to the stringent testing involved in creating a new cosmetic product. Kickstarter also requests that a project creator must have a functioning prototype that helps backers envisage the end result. The most funded project in Kickstarter history is the Pebble: E-Paper Watch. The upcoming smartwatch raised over €7 million through the funding website, the Pebble entered mass production in January 2013 with the first watches shipped on the 23rd of last month. The Pebble is a revolutionary gadget in the watch sector; the smartwatch features apps including a cycling monitor and interacts with your smartphone through Bluetooth. The Pebble uses a rechargeable battery that reportedly lasts seven days and is charged through USB cable. The smartwatch is expected to retail at between €100 and €120, the Pebble is available to pre-order at GetPebble.com. Ouya is another project that took Kickstarter by storm gathering over €6 million. The Ouya is an upcoming video games console running Android’s operating system. The major difference between competing consoles and Ouya is the open aspect of the console; hacking is allowed on Ouya and, in actual fact, is praised. The design of the hardware means easier accessibility to the console’s components, allowing for the owner to modify Ouya at their leisure. Every game on the console will have some free-to-play condition associated with it. This aspect allows the owner to at least try the various games with the option of upgrading at a price if they wish to do so. Ouya is available for pre-order at around €89 including shipping from Ouya.tv and is expected to retail this coming April. Kickstarter explains that discretion is advised when backing a project, as it may not come to fruition, and, indeed, in some cases there is a large gap between having an idea and manufacturing a product when using Kickstarter. This was most certainly the case with the Hanfree iPad stand. It seemed like a great accessory for the iPad owner and was funded on Kickstarter through backers. The creator of the project collected this funding but never made the product a reality, leaving backers empty handed. Money is always an issue, but it is evident from Kickstarter that if enough people show an interest in a project, the ability to fund creative ideas is almost endless. Perhaps you think you could be the next millionaire with a bed that makes itself in the morning or a bin that never needs to be emptied. If so, it is time to search for that notebook with all your ideas and finally try to make them a reality.